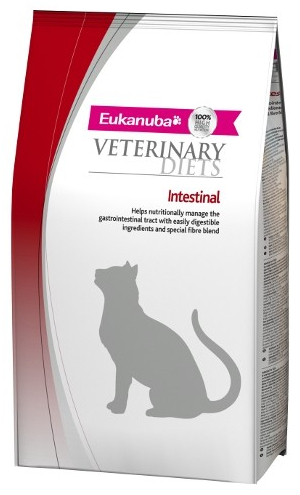 Your vet may recommend these diets when your pet is experiencing vomiting, diarrhoea, gas, or constipation. 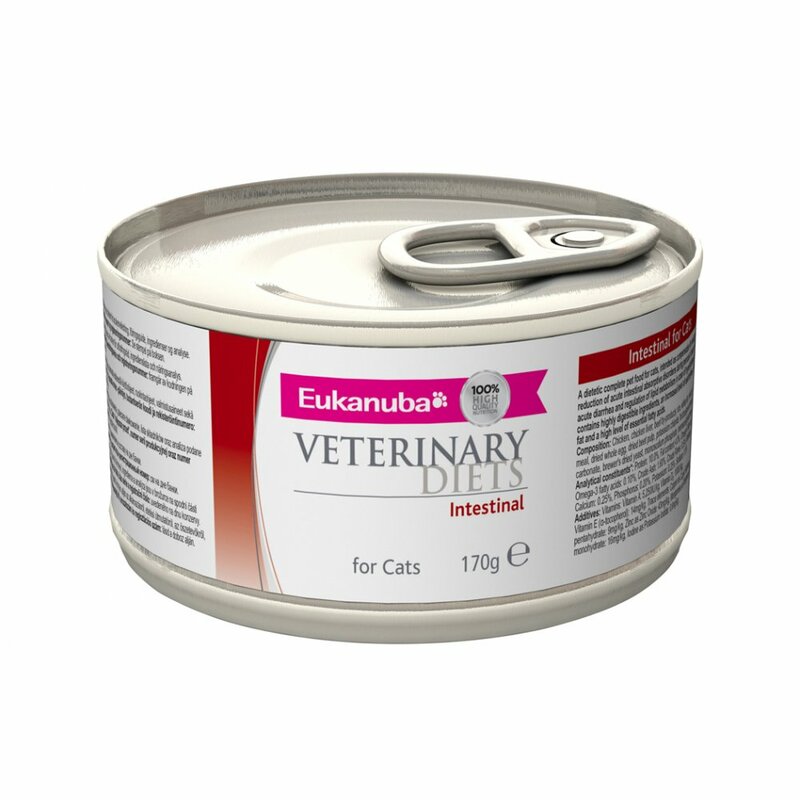 Low-Residue is also recommended for the management of conditions such as colitis (inflammation of the colon), pancreatitis (inflammation of the pancreas), dietary indiscretions and inflammatory bowel disease. Dried Chicken and Turkey, maize, maize grits, animal fat, dried beet pulp, dried whole egg, chicken digest, brewer’s dried yeast, fructooligosaccharides, potassium chloride, calcium carbonate, fish oil, mannanoligosaccharides, sodium chloride. Chicken, chicken liver, beef by-products, rice, white fish, maize grits, fish meal, dried whole egg, dried beet pulp, potassium chloride, fructooligosaccharides, calcium carbonate, brewer’s dried yeast, monosodium phosphate, mannanoligosaccharides. 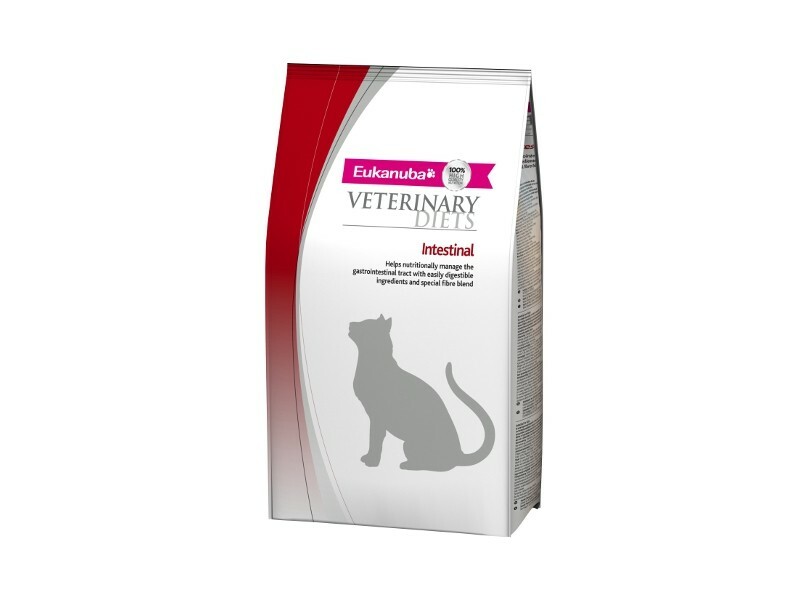 There are currently no questions for Eukanuba Veterinary Diets Intestinal Cat Food - be the first to ask one!